Wine Blog » Blog Archive » Is SanTásti Really FanTásti? We learn something new everyday… We all know that, and wake up every morning looking forward to that “Aha!” moment, right? New products come onto the market everyday, which certainly helps our learning curve’s expansion. So, when the SanTásti samples arrived, I was very curious to see if it was all that it was supposed to be… A product to help tasters taste even more. In developing this product, the company wanted to have a palate cleanser that was more effective than water or carbonated water alone. It also shouldn’t replace the cracker experience, as far as I’m concerned, because I use crackers to add a bit of content to my stomach. Crackers not only help to cleanse, but they also help for any of the sips we can’t resist. There are times I just can’t avoid enjoying an entire experience, when I’ve tasted something really fabulous. I’m betting that you have those moments, too. Over the years of studying wine and food we at SanTásti realized that there was something missing from our tasting experience, namely an effective palate cleanser. This led us down the path of exploration for a beverage that would enhance our tasting experiences. After a lot of hard work we finally realized our vision of a palate cleansing beverage. Now we are proud to offer our efforts to you. We know that a clean palate is vital to a full sensory experience. Our revolutionary beverages are scientifically designed to restore the balance of your palate. Try SanTásti in between your wines. You can even go from red to white! 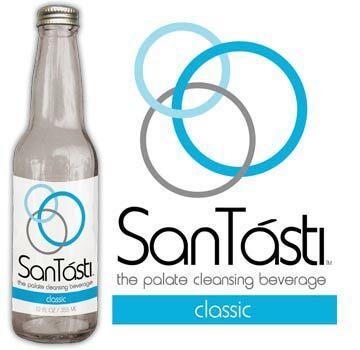 Enjoy SanTásti with your meal, after coffee, or as a refreshing beverage anytime. 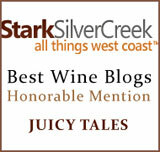 I poured a glass of the 2008 Fish Eye Pinot Grigio and a glass of 2006 Oak Knoll Columbia Valley Cabernet Sauvignon. I opened a bottle of the SanTásti, and was ready to rock. How is it going to taste? Is this really going to live up to its claims? 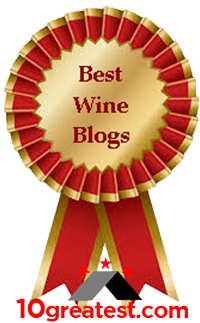 Would I recommend this product to anyone by writing about it on this wine blog? Tasted my Fish Eye Pinot Grigio, and got a feel for it. Tasted my Oak Knoll Cabernet Sauvignon; again, getting a feel for this one and coating my palate with tannins. Tasted the Fish Eye, again. Tasted the Oak Knoll, again. I then tasted the Pinot Grigio once more, and found it much more refreshing. How is it going to taste? Refreshing and not over the top. It’s pretty delicate, because it doesn’t have lots of carbonation and it has a slight citrus taste. 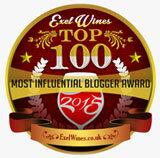 Would I recommend this product to anyone by writing about it on this wine blog? I’m doing that right now. I followed the instructions closely, finding that I was able to switch back and forth between red and white wine, and had a better tasting experience from the red back to the white… Not an easy thing to do once a palate’s coated with tannins. 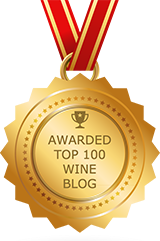 It seems to me that this would be an excellent product at wine tastings, like the ones that wholesalers have at their sales meetings, at wine competitions, or the speed tasting that happens… like the ones at the Wine Bloggers Conference. At this tasting, wine brand managers present their wines as if you were speed dating with them. The brand managers have five minutes to give the tasters their entire story, while the tasters swirl, sniff, and sip, and spit (some do, not all) the producer’s wines. Any of these tastings are exhausting on one’s palate. Honestly speaking, after 10 tastes of wine, my palate could use some kind of refresher, because it begins to be on sensory overload at that point. If you’re having a wine tasting with friends, or you’re an event coordinator for a wine tasting or wine competition, SanTásti is a beverage would add a bit of refreshing panache to your guests’ experience and enjoyment. Did you compare it to something else a consumer might try? Say tap or filtered water, seltzer, club soda and its lightly flavored variations etc? Wow, could’ve used that at the 70-wine blind tasting competition in Walla Walla a couple of weeks ago for the Renaud Society’s Tastevin! I wonder if a citrusy drink/swisher works better when going from red to white or if it’s equally refreshing when tasting a lot of red wines? Anyone? I’ve had all of the beverages you’ve mentioned, and SanTasti isn’t close. This beverage has very little carbonation, so that your palate isn’t bombarded with carbonation. Also, the flavor is really, really delicate, so it also doesn’t interfere with your tasting process, throwing off the balance on your palate. It honestly is nothing like I’ve had, but I also didn’t line it up with other carbonated beverages, because I’ve had so many of those, and they’ve never struck me as anything I’d want to use for that purpose. I went back and forth from white to red, to white, to red, but didn’t keep going for the long haul. I know if I were going to do that, I’d spend more time swishing it around my mouth, though. I found myself wanting more as I went from red back to white…That could have simply been psychological, because it’s now so against the grain of my thinking, but it did leave my palate refreshed, and that was the intent. After I finished the taste test, I split it with my husband. Both of us downed it, because it was so good on its own, which is also one of the uses… to just enjoy. I understand your points. I too have been offered San Tasti in a tasting room. It would have been interesting to see how differently it affects the tasting *relative to* water or other things.